I generally go in phases. I eat similar things for a week or two and then rotate for another week or two. Oats had been boring me a little lately. I had exhausted options for different themed oats. Then, I saw this one on Vegan Richa’s website and now I am once again obsessed with my morning oats…so are the kids! This is my version of the delicious recipe. In a small pot, add the milk and oats. Bring to a boil. Add in all ingredients and cook on medium low for 15-20 minutes. 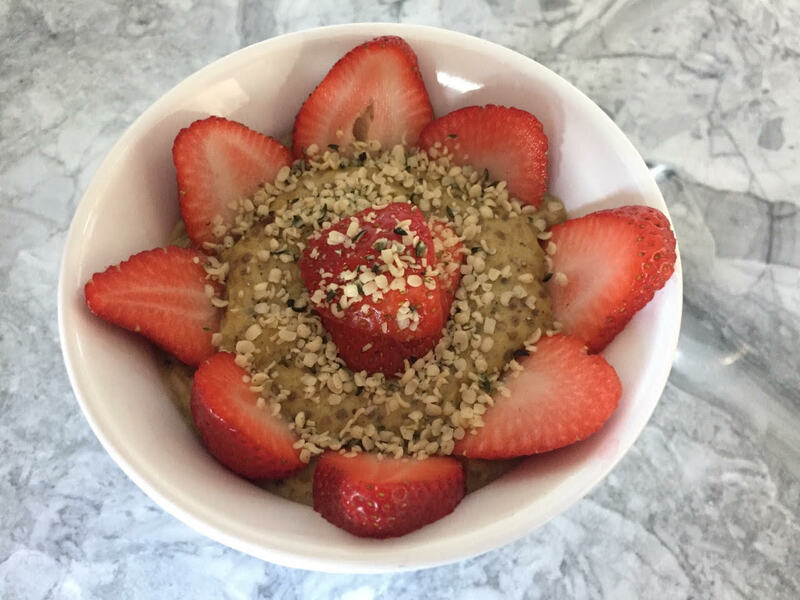 Top with sliced strawberries and hemp seeds. Use organic ingredients if possible. Feel free to use the oat, milk, nut butter and fruit of your choice. If using rolled or instant oats adjust cooking time.